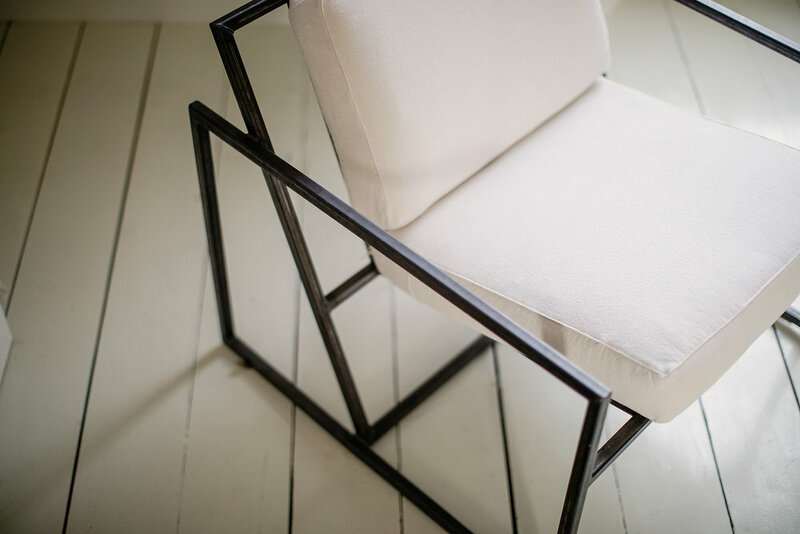 Our simple, elegant take on the classic arm chair, leather straps and steel frame, is a versatile piece of occasional furniture adaptable to any room. Complement any ancillary space with a touch of modern glamour. Our square chair comprises a pared down metal frame with leather straps and topped by a choice of cushion covers, white, pink or blue linen materials. Add a modern accent to any space with the classic form and simplicity of our take on the modern arm chair.